What’s the Difference Between a Facebook Business Page & a Personal Profile? 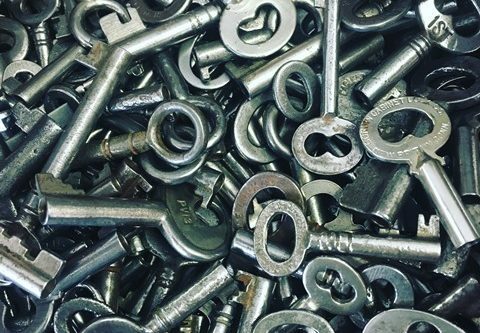 Automated email campaigns are a feature that is available regardless of what plan you have. This is an amazing tool that can help you with a variety of marketing and administration tasks. You can check out the preset “Automation Emails” or you can create your own. The steps below are for custom automated emails…great for a series of emails that you can send out to a specific list or will trigger as you add names. For example if you have a 5 day training series, you can create a custom email series to drip out to clients. Sign in and select “Create Campaign”. 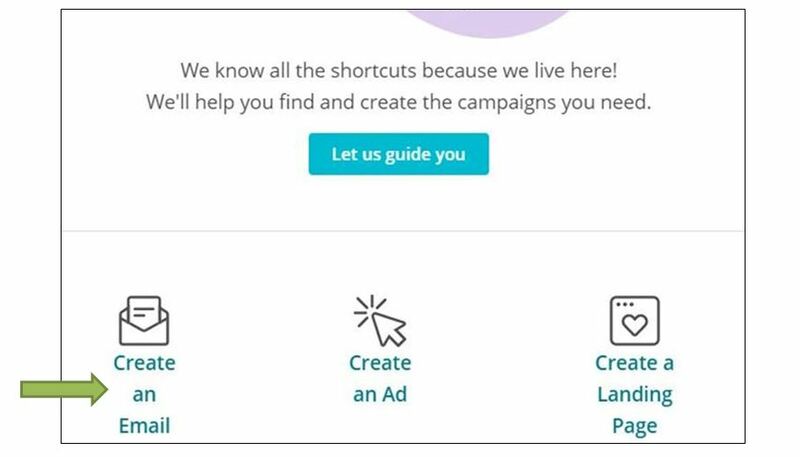 At this step you can select one of the preset emails for a variety of marketing or admin purposes…but to really dial it in, click on “Custom”. 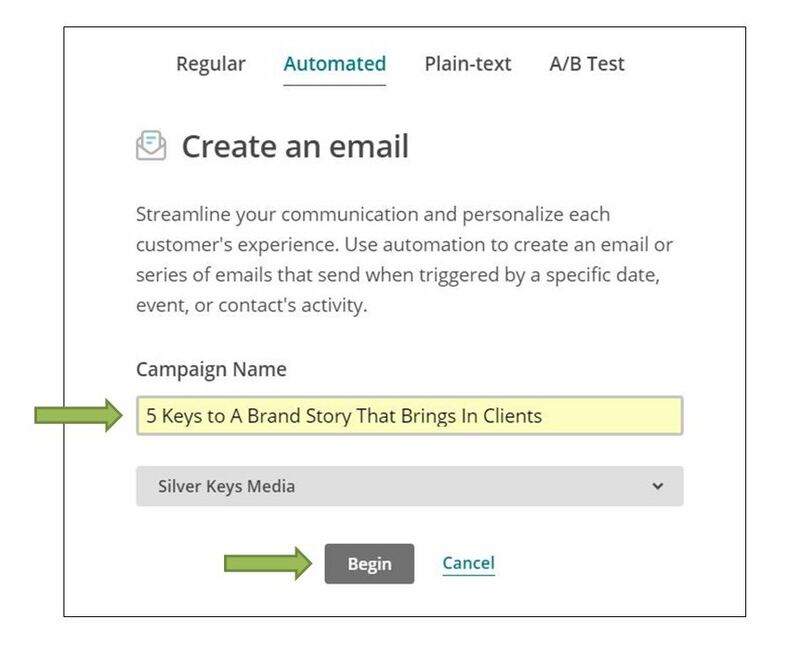 Now you can begin to create your custom email series. 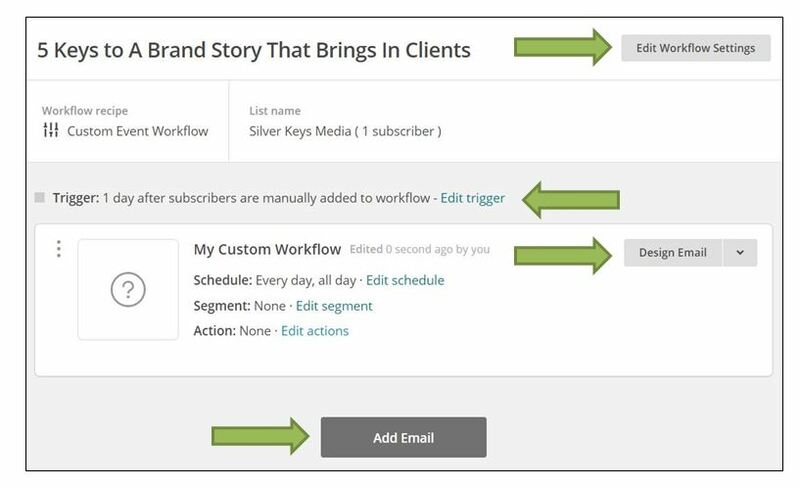 You can edit your trigger (aka…when it will send the emails and how between time lapses), edit the workflow and design each email that you add as part of the series (I would suggest creating a template for the email series first and then you can easily use that for each added email). Well there you have it. Hope this was helpful and allows you to create some options to streamline your marketing and save you some time. Please contact us if you have any questions or leave a comment with some feedback!